A-1 Towing has been servicing Fort McMurray and surrounding areas for the past 30 years. Our WreckMaster certified and trained service people can get you out of any messy situation no matter the size of your truck or the equipment being hauled. 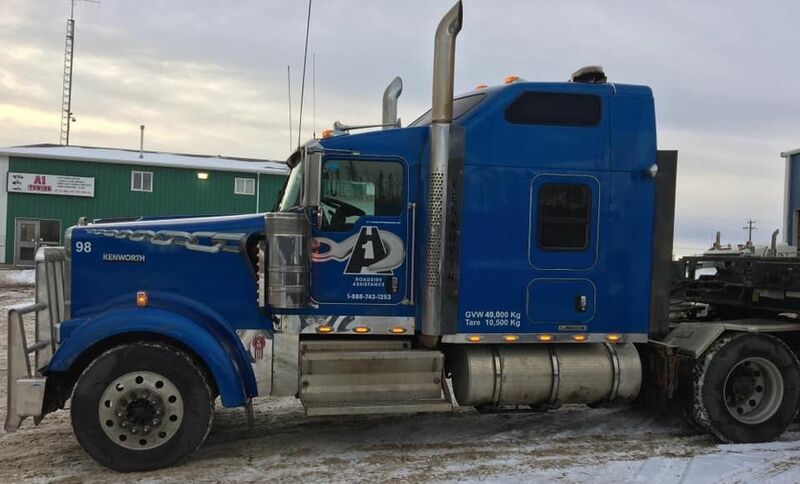 A-1 Towing has fully equipped 30-tonne and 50-tonne wreckers standing by “ready to roll,” 24/7. We have towed and recovered hundreds of transport trailers, big rigs, coach buses, cranes, motor homes, etc. Our Class 1 drivers are knowledgeable in all kinds of recoveries and are able to foresee preventable situations. If your unit needs to be up-righted and removed from the road quickly and safely, A-1 Towing has the solution to perform the recovery with minimal incident. Drivers are First Aid certified, Traffic Control certified, and TDG and WHMIS certified. In addition to recovering heavy equipment and trucks, A-1 Towing has taken on a variety of out-of-the-ordinary jobs over the years. There isn’t anything we can’t tow. For immediate roadside assistance, towing, and more, call A-1 Towing today.